My weeks are filled with writing, reading, teaching and mentoring. I not only read MG books (36 already this year! ), but I also read articles about the craft of writing and editing. Thanks to all the bloggers out there who alert me to great links. 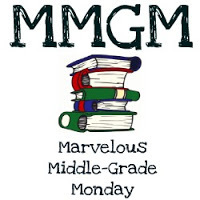 The articles I often have to skim and hold onto for later, are ones focused on the business side of the MG publishing and stories about MG authors. Today marks a new feature at ALWAYS in the MIDDLE where I will share those industry articles with you. Now I won’t have to bookmark them! Middle Grade books remain a hot commodity as reported here from the Bologna Book Fair by Publisher’s Weekly. There’s a storm brewing over a recent MG release, P.S. I MISS YOU. This article is a response from the author, Jen Petro-Roy, and her reaction to schools refusing to have the book on their shelves. Gordon Korman. The name brings a smile to my face. I just finished reading his upcoming release, WHATSHISFACE, and will have a review in May. Check out this interview about his 40 year career! Thanks for these links. The essay by the author of P.S. I Miss You is beautifully written. I haven’t read the book yet but will as soon as I can. It sounds like an important book for kids and adults alike. Thanks for the post. Yes, I have it my list of books to read, hopefully this spring. Enjoyed reading the article by the author of P.S. I Miss You. It is so hard to believe there is still so much resistance for such an important topic and read for everyone. Will definitely read her book. Ironically, I just finished a book yesterday I’ll be reviewing soon that shows what happens to a kid who isn’t able to be open with this sexuality. I’ll be reading it, too. Such a great way to tell a story through letters. Thanks for always stopping by. Here’s another good interview: https://www.slj.com/2017/04/interviews/gordon-korman-prolific-and-lifelong-author-balances-absurdity-and-heart/ Korman is such a great author!